U.S. President Donald Trump's lawyer Rudy Giuliani backtracks from earlier comments that Trump pursued a business deal to erect a tower bearing his name in Moscow throughout 2016, saying his statements were "hypothetical." U.S. President Donald Trump's lawyer Rudy Giuliani backtracked on Monday from earlier comments that Trump pursued a business deal to erect a tower bearing his name in Moscow throughout 2016, saying his statements "were hypothetical and not based on conversations I had with the president." Giuliani told NBC's Meet the Press on Sunday that Trump may have continued to pursue the project and had discussions about it with his former personal attorney, Michael Cohen, until as late as October or November 2016, when Trump was closing in on his election victory over Democrat Hillary Clinton. Giuliani went a step further with The New York Times, where he quoted Trump saying the Trump Tower Moscow discussions were "going on from the day I announced to the day I won." The Moscow deal ultimately did not materialize, but Giuliani's remarks suggest that Trump's discussions about the project with Cohen may have dragged on until the election, raising new questions for congressional investigators looking into possible ties between the president and Russia. Sen. Mark Warner, the top Democrat on the Senate intelligence committee who appeared as a guest on the same show as Giuliani, said, "That is news to me. And that is big news." 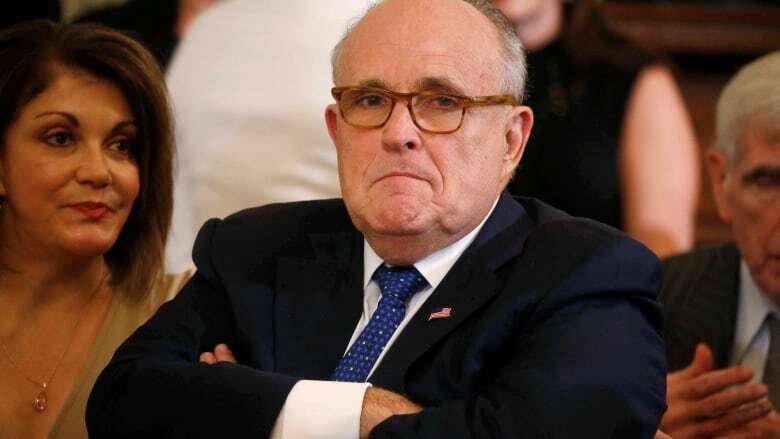 But in an emailed statement on Monday, Giuliani changed his story, saying: "My comments did not represent the actual timing or circumstances of any such discussions." An investigation by special counsel Robert Mueller into Russia's interference in the 2016 election and possible collusion between Moscow and Trump's campaign has loomed large over the Trump presidency amid media reports of his team's alleged connections with Russia. For the president, Giuliani appears to act more like a spokesman than attorney, often unleashing public attacks on investigators and Trump opponents. Some of his previous statements have led to other clarifications while triggering more legal questions for his client. In the statement, he said "there was no collusion by President Trump in any way, shape or form," and that he had "no knowledge of any collusion by any of the thousands of people who worked on the campaign." That was an apparent reversal from Wednesday's television appearance in which he said, "I never said there was no collusion between the campaign or between people in the campaign." He had previously denied any collusion.